Watch your step, ‘cause I’m about to spill some serious money-saving beans. Most people think travelling over Xmas is crazy expensive – that if you haven’t locked it in six months in advance, you may as well forget it. But that’s only because they don’t know the secret to summer-travelling like a pro. Not only can you score an Xmas holiday bargain at the last minute BUT you can even pay less than if you’d booked ahead – if you know where to go. Here are ten of the best destinations for last-minute Christmas and New Year deals. A dream summer holiday in gorgeous Phuket? Yes, please! Book a Christmas/New Year getaway and you could save up to 50% on your accommodation compared to if you’d booked in July…for real! 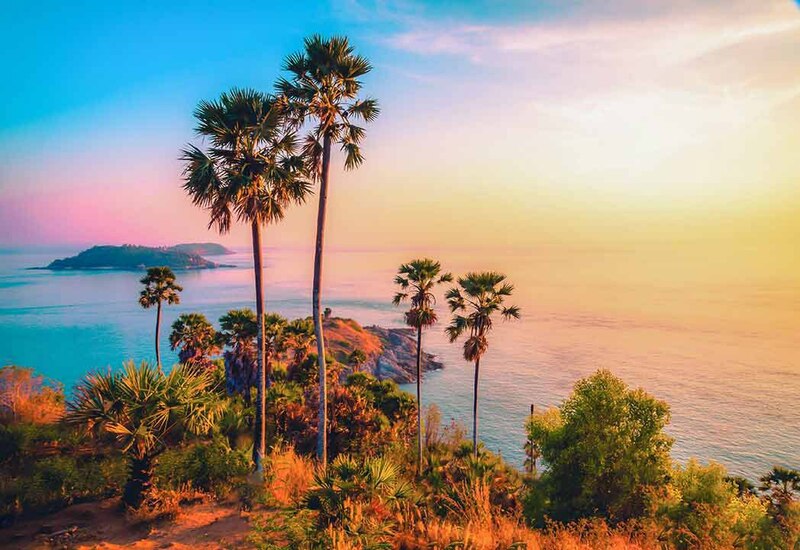 Promthep Cape, looking amazing. Phuket, Thailand. Awesome theme parks, easy access to the stunning Gold Coast Hinterland, and 70km of amazing beaches. A Gold Coast getaway is super fun any time of year. But if you book your summer GC break in December, instead of in July, you could save more than 10% on your stay. Rotorua’s incredible geothermal wonders, stunning scenery and rich Māori culture make it an absolute must-visit. Book a last-minute Xmas trip and you could save up to 25% on your stay. Um, WOW! 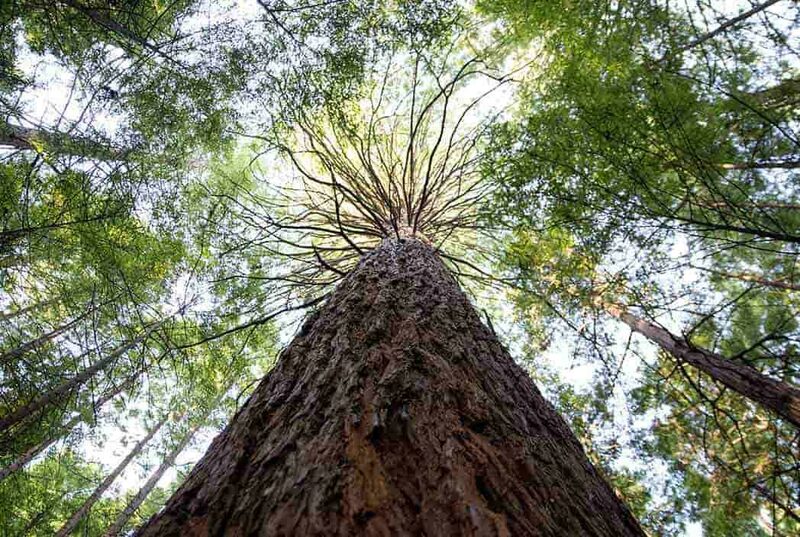 A giant redwood tree in Rotorua, NZ. An archipelago of 99 islands just off Malaysia’s West Coast, Langkawi is home to some of the world’s most incredible beaches. 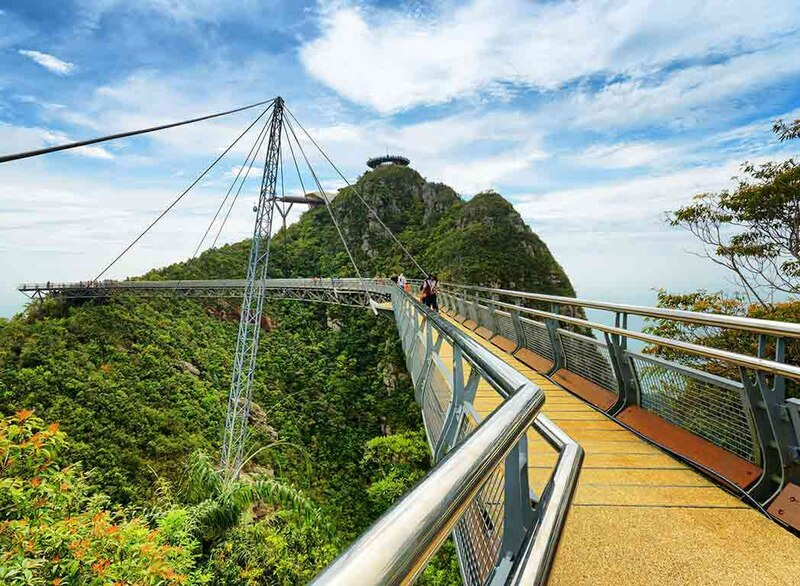 It’s also home to the Langkawi Sky Bridge, which terrifies me (heights? 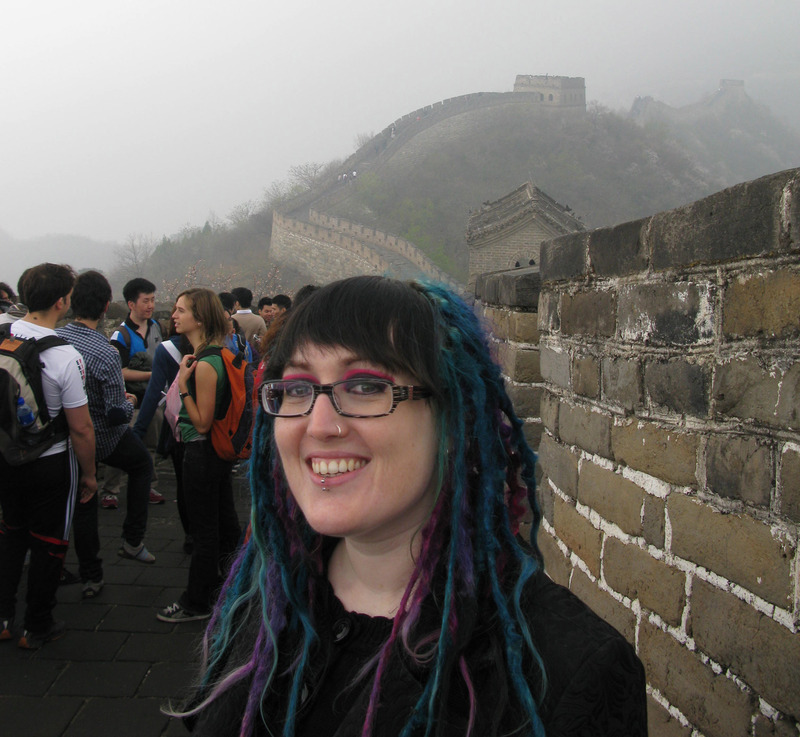 No, thanks), but is a must-do for photographers and non-scaredy cats. Book your summer getaway now and you could save more than 25% on your stay. Wait, have I got that right? Lemme check… *rustles through notes* Yep, there are still awesome Xmas and New Year stays available in New York City… *taps on calculator* And not only can you still get a piece of those Miracle on 34th Street vibes, but you could also save up to 10% on your hotel compared to if you booked in July. Amazing! I don’t need to sell you on Hobart, do I? With its chilled-out locals, incredible food (everything from degustations to farmers’ markets), excellent museums and multitude of whisky bars, it’s your fave Aussie city, even if you don’t know it yet 😉 Book your Hobart summer holiday this month and you could save 25% or more on your stay. 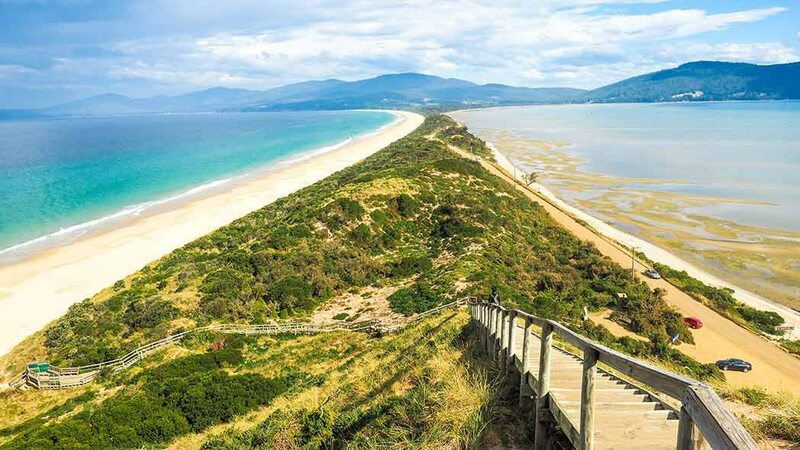 Is this beach paradise in Tassie? Yes, yes, it is. Bruny Island, off the coast of Hobart. Who doesn’t love a cheeky Bali getaway? December/January is technically part of the rainy season, but don’t let that put you off (especially if you’re dreaming of indulgent spa days and incredible cocktails, which are amazing in any weather). By booking at the last-minute, you could save 20% or more on your accommodation, which is definitely worth a few clouds. One word: WINE. 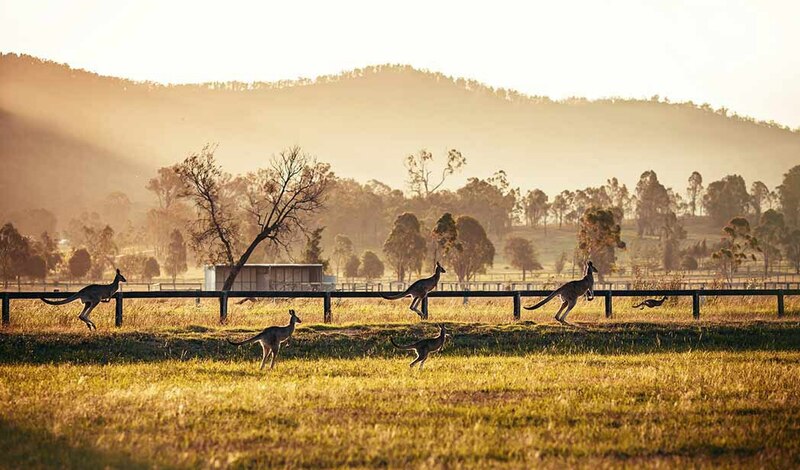 A few more words: the Hunter Valley is Australia’s oldest wine region and home to phenomenal vineyards, cellar doors and restaurants. Pokolbin is in the heart of all the delicious action and if you book a summer escape this month, you could save up to 30% on your stay. Dreaming of a white Christmas? OK, you probably won’t get that in London, but you will get festive Christmas markets, gorgeous city-wide decorations and never-ending opportunities/excuses to drink mulled wine in public. If you book your trip at the last-minute, you could even save up to 5% on your stay, which is pretty great too. Pricing analysis and estimated savings are based on a comparison of the average daily rate for 3 – 5 star-rated and self-rated accommodation demand on lastminute.com.au for bookings made in July 2018, compared to December 2018, for travel between 23 December 2018 to 5 January 2019. Rates are subject to accommodation and date selections made.